What is the Life Span of the Dolphin? What is the Average Lifespan of the Dolphin? The lifespan of dolphins varies from species to species. 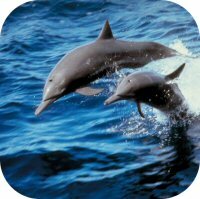 Most dolphin species live 20 to 50 years. Currently many dolphin species die before their time due to pollution, environmental issues, including fishing nets, which cause them to become entangled and drown.